How to loiter. 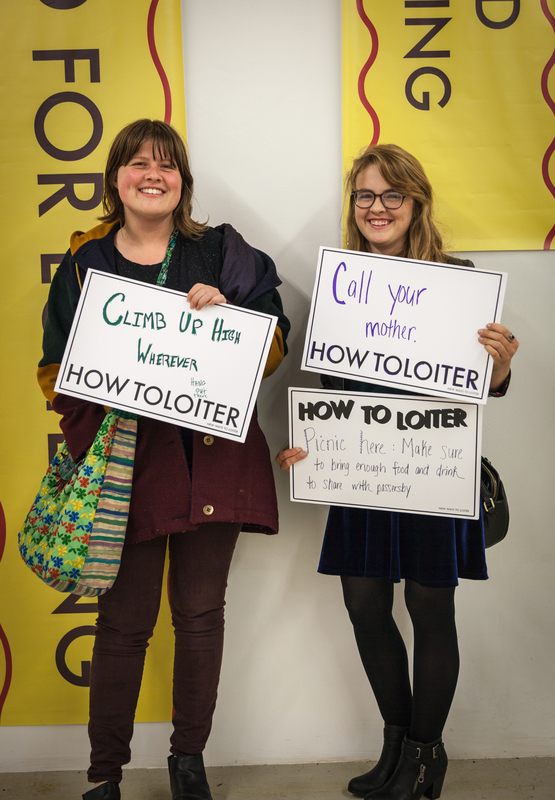 How to loiter? What is loitering? 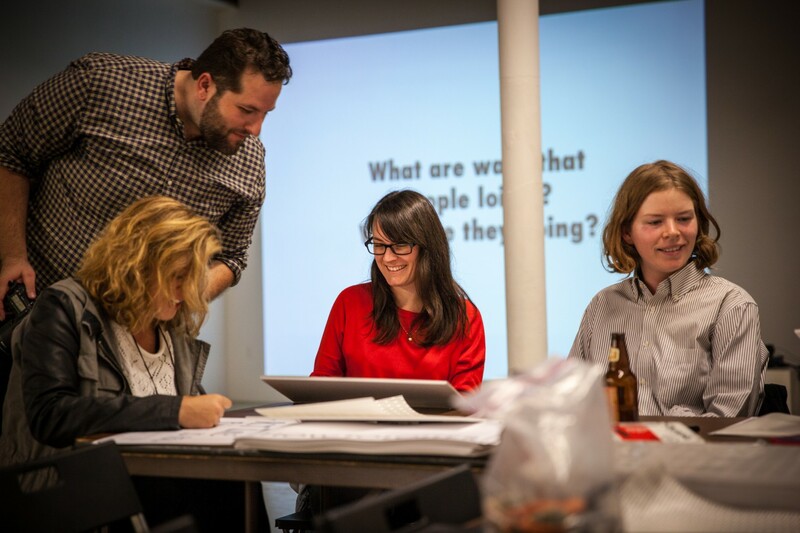 This is a question that Paul Shortt both asks in his art, and asked of us, as participants in his loitering workshop. 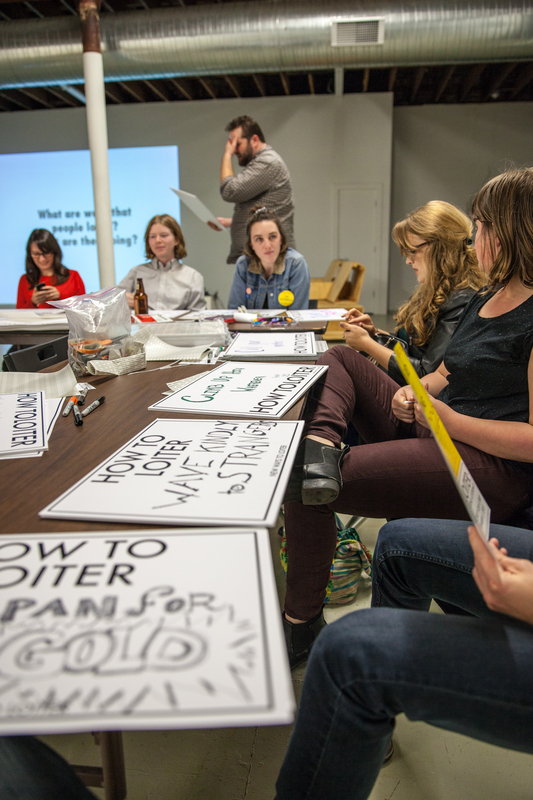 Nothing seems more twenty first century than a workshop to teach loitering: an activity so simple it literally just means to be somewhere for a period of time with no purpose. It should be innate, the activity of doing nothing, and yet we rarely do so, and we reject people who do, to the point that loiterers are treated as a public nuisance. 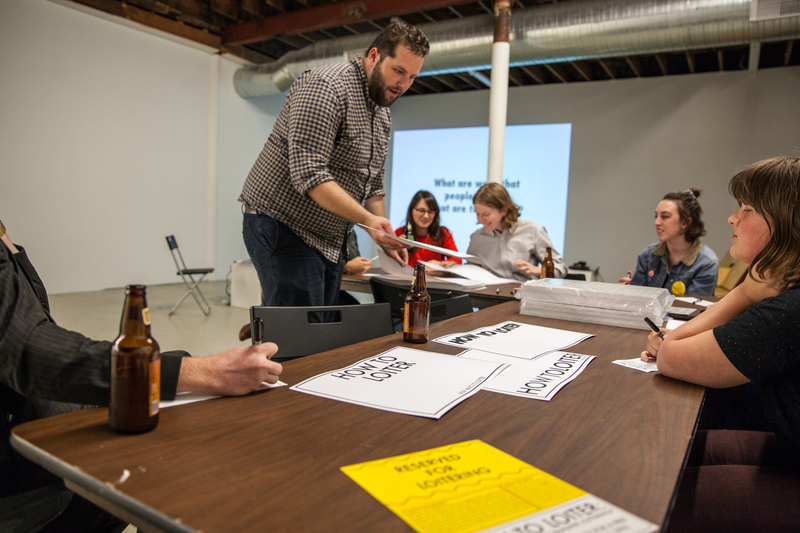 The workshop explored the gray areas between loitering and being, between who is allowed to loiter and who isn’t, and of course what loitering is beyond the dictionary definition of it. 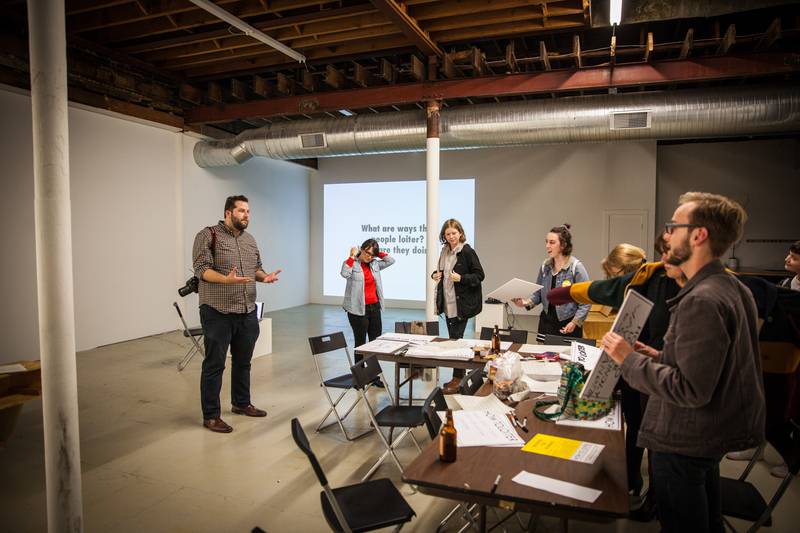 This was not an artist talk. Shortt does not pretend to be an expert on the subject. 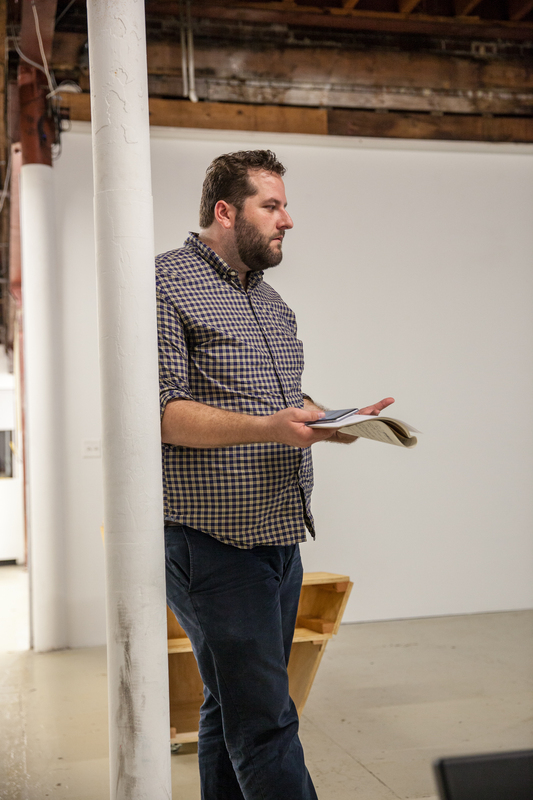 He sincerely wanted to hear all of our ideas and perceptions of loitering, ranging from small town teens to issues along racial lines here in the city. Loitering is a word that can be placed on otherwise normal gatherings to deny groups of people their right to simply hang out, it’s a legal term to provide tickets, to define societal interactions, and yet something completely innocuous to so many others. Just like Shortt, I cannot claim I can answer the question “What is loitering?” nor can I say that the workshop created a new definition. I can say that I discussed, and listened to others discuss, in detail, a word and an idea that until that point seemed one-dimensional. Shortt is an artist who loiters, who interrupts the everyday, simply by being out in the world, by doing nothing in a world that never truly stops. After a very thorough discussion, we created signs depicting different ways to loiter, and hung them out on the street. 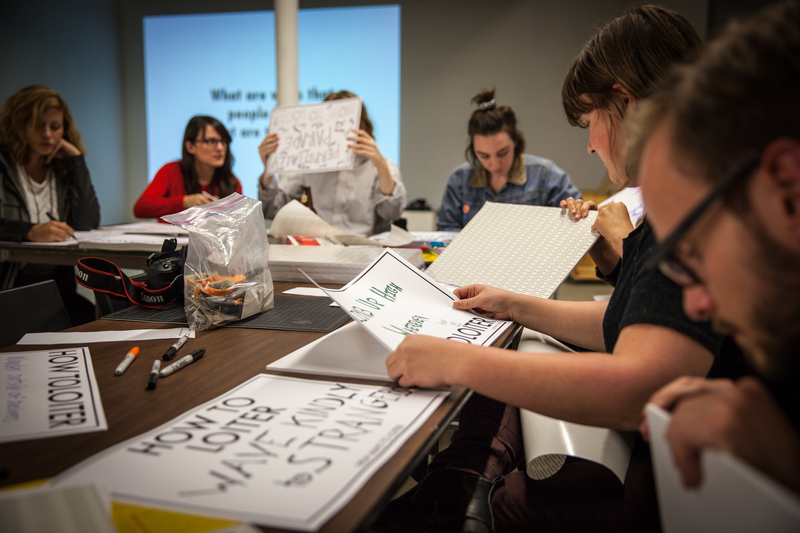 They had new ideas, suggestions on how to exist in public in a way that challenges the status quo, and to bring the conversation out onto the streets, where we might all actually loiter.